Flexibility, fun and faith . . . that’s a trio I definitely want in my life! There are times in our lives when fun does not fit in with what’s going on! It’s not possible to always have fun, or find the joy in every situation. However, it is possible to be at peace with the experiences life deals us. To be at peace is to be in a state of acceptance, and be present and attentive in the here and now. Once we have achieved the place of acceptance it is easier to see the joy, humor, and fun in the everyday happenings of life, and ultimately have faith. With each passing day acceptance becomes easier. I am more attentive and present when Thomas and Lillian are talking to me. I am really listening to what they are saying. Sometimes, I must admit, it is just plain funny! One morning Thomas, Lillian and I had a conversation that each of them are actually aliens from Planet Mercury. They told me they are just here visiting and will have to go back home soon. We had a thirty minute conversation about their home planet. I told them I would miss them so very much when they go back home. They said they would miss me too. After breakfast they began packing for their return voyage back to Mercury. Not your typical Saturday morning breakfast, but we had tons of fun using our imaginations. I choose to stimulate their imaginations instead of discounting what they say. Being able to call upon their imagination is a skill I want them never to lose. As often as possible, I attempt to create an adventure out of as many minutes, hours and days that I can. It may sound like a lot of work, but really, it doesn’t have to be. Adventure is what one makes it. If we remind ourselves to be flexible and think simplistically, it isn’t hard at all to create adventures. I find great fun in turning a simple task or event (something we are already doing), into an adventure. Something as simple as going to the library can be made into an adventure by having a scavenger hunt for certain types of books. One day, I had Thomas and Lillian make a list of about five places or things they wanted to see, or find. We had a great time driving around all day to parks and stores finding the items on their lists. We didn’t buy anything, but I marked their success by taking a photo of them in front of the place, or with the item they found (you can see some in the photo gallery). Being flexible decreases stress, and allows us opportunities to be creative. Flexibility also serves us in releasing our attachment to rigid expectations. When we choose to be flexible rather than rigid, it is much easier to accept change when situations do not turn out as we may have planned. 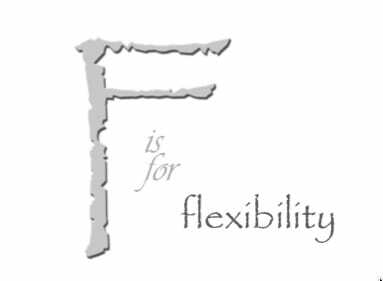 Flexibility is a characteristic that serves me well as a parent, definitely as a mom to a child with special needs, and in life in general. I am sorry to say that the old Camilla was not a very flexible person. Things had to be done my way, or someone was going to pay! I cringe when I think about how rigid, and inflexible I used to be. The awakened Camilla has learned the wonderful quality of being flexible. To some, it may seem like indifference when I shrug my shoulders, or turn the other cheek, but through practice, I have learned to be okay with whatever happens. I could not let this chapter be complete without mentioning fear. Fear is something that every parent experiences. In fact, everyone has fears. Parents of children with special needs have an entirely different set of fears, and then some, compared to parents of kids who develop typically. Fear is one of the stages we move through when we first learn of our child’s diagnosis. These fears can get the better of us if we are not managing our thoughts in the present moment. For instance, we may take one little comment from a doctor, nurse, parent, or friend, and let our mind run away with it. We fabricate in our mind what the future would be like; what about the next time …next week…next year…from now to when our time here is over? I am not saying we shouldn’t make plans for our family’s future. Make those plans, get everything lined-up, and set in the best way for your child with special needs and their siblings. Just remember not to always play out future events (school, friends, sports, marriage etc.) in your mind. Learning to have faith in myself, and the decisions I make has absolutely helped me along this journey. Even though I still experience moments, days, and even weeks, when my faith in myself gets weak, I never ever fully lose sight of it. Having a rock solid faith in ourselves, is the foundation for the journey we are traveling. Developing the habit of having consistent, strong faith in yourself and your choices will only come with time and practice. To battle being your own worst critic, put sticky notes on your mirror, in your purse, in your car, and wherever else you need them, with reminders that you are amazing, you are perfect the way you are, to have faith in yourself, trust your path and trust your intuition. Choose whatever phrases or quotes are meaningful to you and put those on the sticky notes also. It can be hard to keep faith in ourselves; but the more we practice being kind, the quicker we will pull ourselves out of those times when we lose the faith. This entry was posted in Mindful Living and tagged 18p-, acceptance, c18, Chromosome 18, chromosome abnormality, d iz for different, family adventures, flexible, Lillian Darnell, mindful, mindfulness, patience, peacefully experiencing life, special needs parenting, the team tlc, Thomas A Darnell, Thomas Darnell by Camilla. Bookmark the permalink.